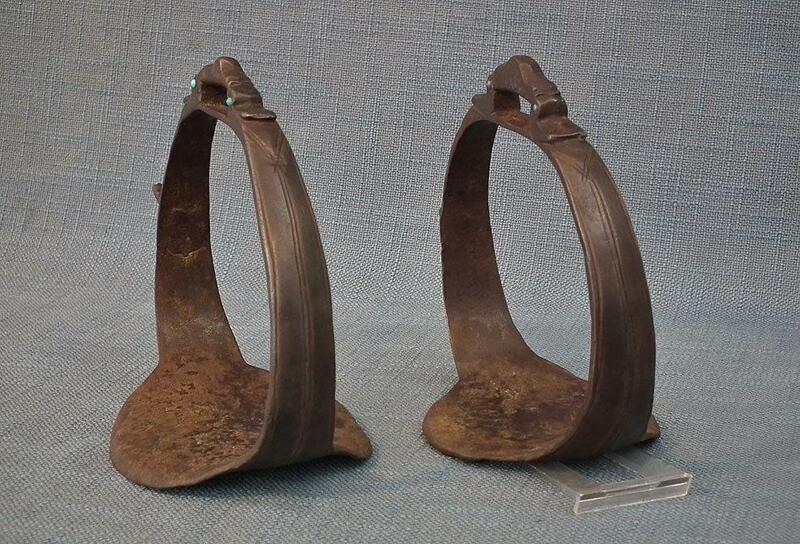 Pair of rare antique late 17th century or early 18th century, Islamic Persian Safavid dynasty saddle stirrups entirely hand forged from a single piece of thick solid iron. 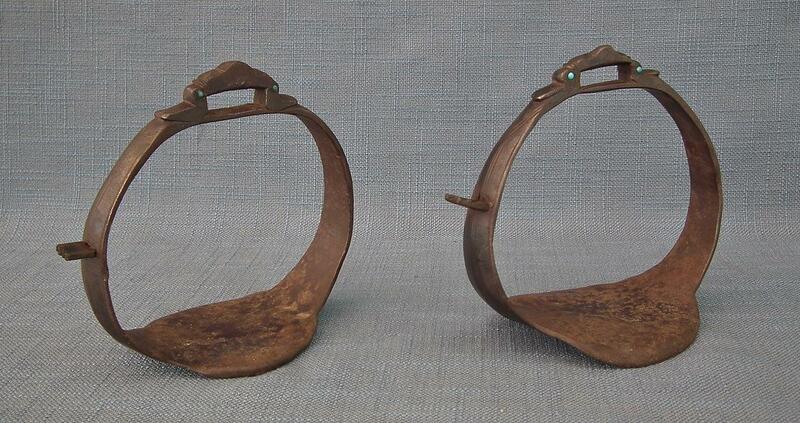 Each arched form is adorned with incised decoration rising to a strap loop, at the top flanked by two opposing swan heads with the eyes inlaid with turquoises stones and oval footplate. 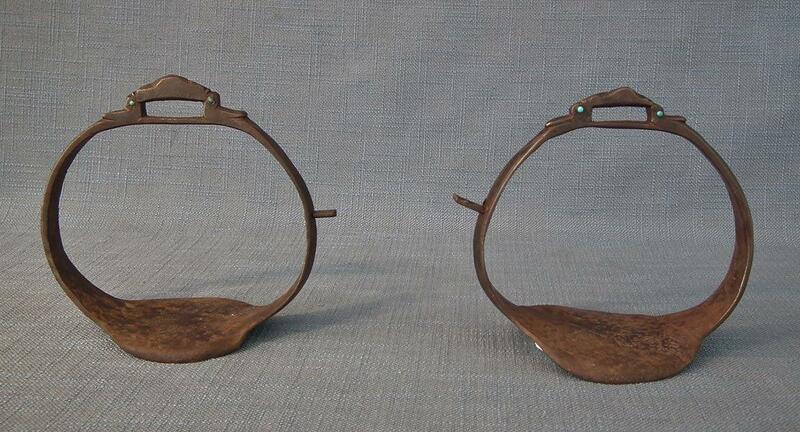 On one side of each stirrup there is a short branch of a rectangular spur with a notched edge. 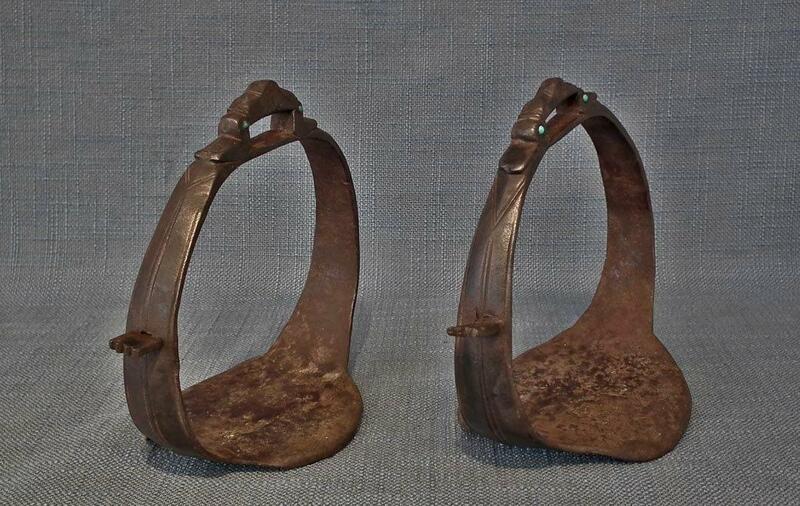 300-year-old Persian Safavid dynasty stirrups are very rare and are particularly almost impossible to find, especially complete pairs of Safavid stirrups, most known examples are single stirrups. 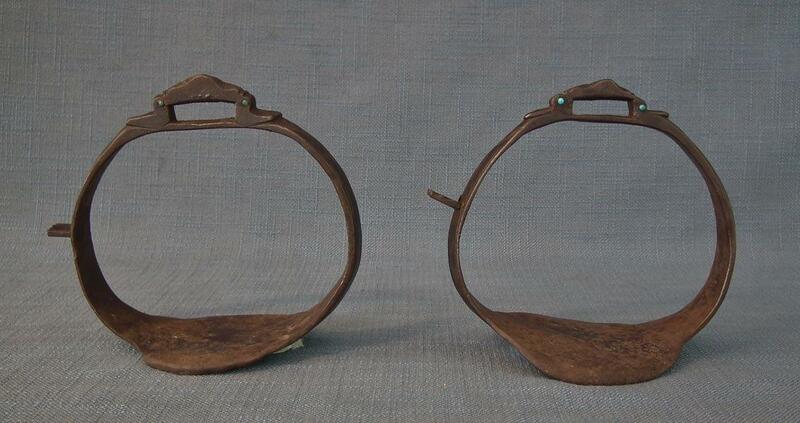 A single Persian Safavid stirrup of similar form with bird heads flanking the strap loop are published in are published in fallowing references. 2. 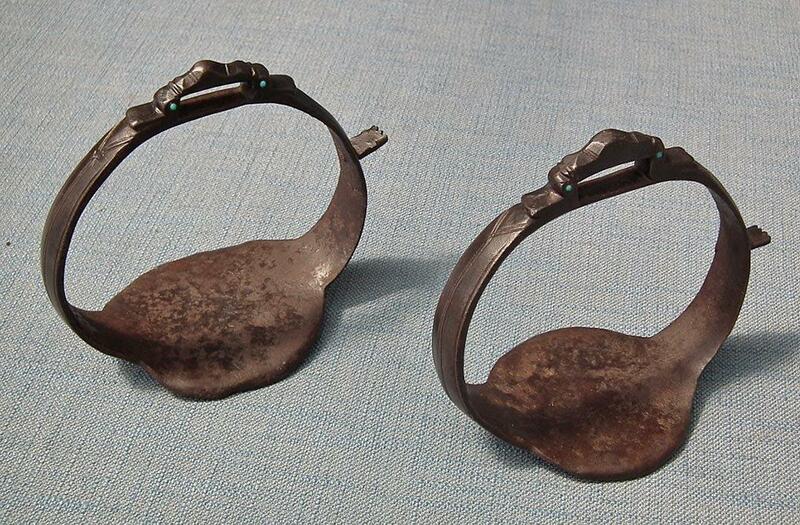 Persian Steel: The Tanavoli Collection (Oxford Studies in Islamic Art) by James Allan, page 62 Fig 41. 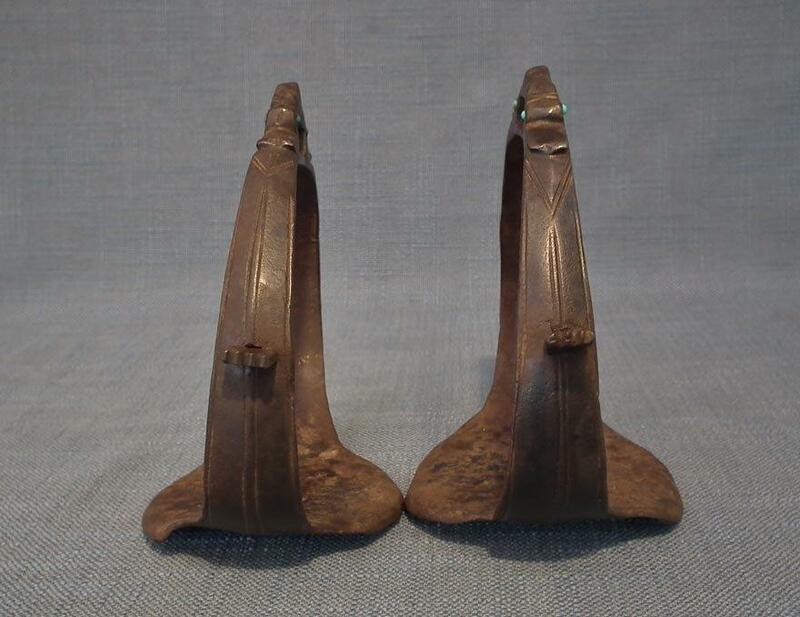 Also, in this book on page 60 is published a 17th century Persian flint striker with an alike swan head finial which clearly indicates that swan head motifs were very popular in the 17th century Persian metalwork during the Safavid dynasty. 3. Christie’s catalogue Islamic Works of Art & Textiles London, South Kensington 6 October 2008 Lot 326 Estimate GBP 2,000 - GBP 3,000. Price realized: GBP 4,000 (10 years ago). CONDITION: Showing age and usage. 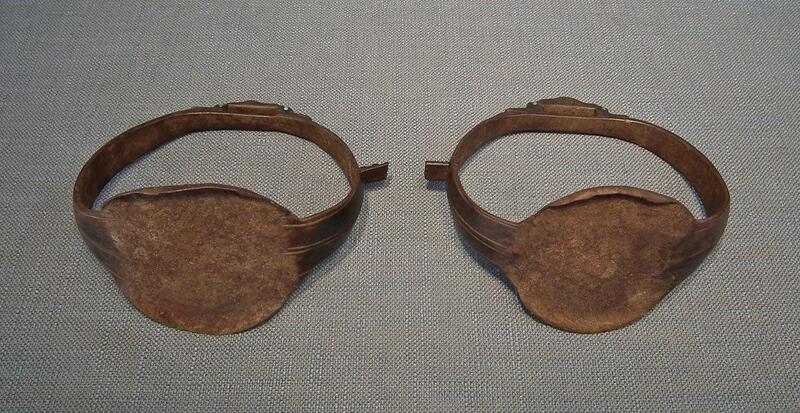 In good condition considering its age to be of 300 years old. The turquoises stones are possibly a later adornment.